Our valuable clients can avail an exclusive range of Pole Chain Saw Machine. The products are available in different dimensions and are tested on different parameters by our skilled professionals to deliver the flawless range to the end user. Our offered products are manufactured using international trends and as per the specifications provided by the clients. The products have different features such as long service life, robust design, corrosion resistance etc. 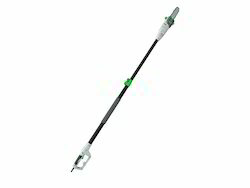 Can cut branches Upto 15 ft. The company is offering a wide range of Electric Pole Chain Saw Machine to our valuable clients. The products are manufactured using superior quality of factor inputs and sophisticated technologies under the supervision of highly skilled professionals. We also deliver our products as per the specifications provided by the clients. Our offered products are tested on different parameters to deliver a defect free range to the end user. Looking for Pole Chain Saw Machine ?